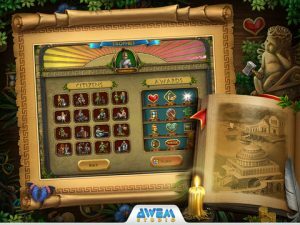 A challenging and addictive match-3 title from Awem Studio, Cradle of Rome 2 HD combines Bejeweled-style gameplay with an engaging city builder set in the time of Ancient Rome. Cradle of Rome 2 HD features 100 levels in total, each with the same basic goal that becomes more difficult to achieve as the game continues – destroy the blue marble tiles before the time runs out. Each blue marble tile can be broken by completing a match-three that involves that tile. 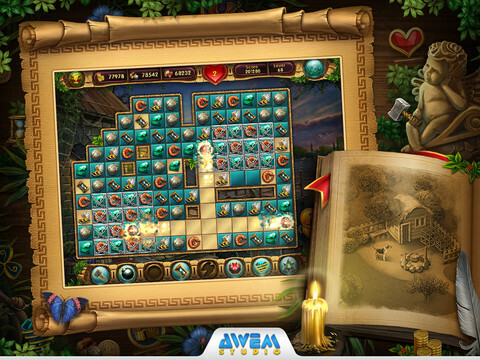 Matching-3 with other non-blue tiles like coins, leaves, wood, buckets of water or hammers awards you resources. Upon the completion of the level you’re awarded coin, food and supplies as well as time completion bonuses that will help in the building of your empire. These supplies can be used as currency to purchase new buildings – but to do so you must complete a short mini-game to uncover the blueprints. Once completed, you’re able to buy the new building and watch your workers construct it in your city on the banks of the River Tiber. As you advance through Cradle of Rome 2 HD you’ll unlock skills like the Hammer bonus which gives you the ability to any tile, marble tablet or chain. Simply tap and drag the Hammer on to a game tile to use it. There are also numerous trophies and other bonuses to unlock as you move through the game. Cradle of Rome 2 HD is an extremely polished title – the hand-drawn visuals are gorgeous, and the relaxing music is of a professional quality. 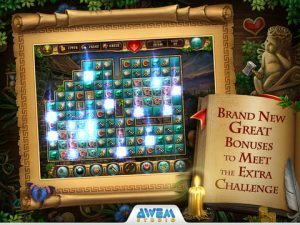 The challenging puzzle-play that combines fast paced match-3 with an achievement based city builder keeps you coming back for more. 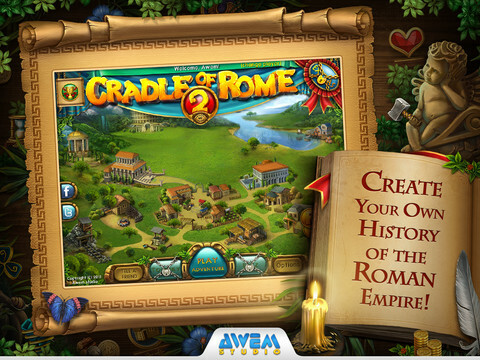 Cradle of Rome 2 HD is compatible with iPad. 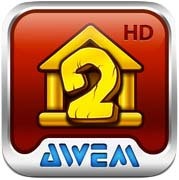 Requires iOS 3.2.1 or later. A small expedite fee was paid by the developer to speed up the publication of this review.